This year’s market is off to a great start… thanks for everyone who braved the rainy weather and visited us this past Saturday. This week we will have more greens available… spinach, kale and mixed baby lettuce. Kenny will have asparagus, rhubarb and may even more radishes this week. We are cutting fresh mint too. Just a reminder that we have been selling out early… so come early or pre-order to make sure you get the items you need. Don’t forget to pick up your farm-fresh, free-range eggs as well. Thanks to the great response to herbs we will have a limited amount of tarragon and parsley available this week. 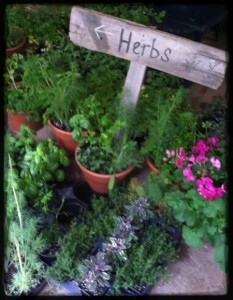 We still have plenty of other fresh herbs and garden plants available. We will have basil, dill, cilantro, oregano, sage, thyme, rosemary, stevia and mint. Kenny also has a nice variety of heirloom tomatoes, cherry tomatoes and pepper plants.